Can you spot a narcissist - a self-loving, selfish and egocentric person by observing its behavior? 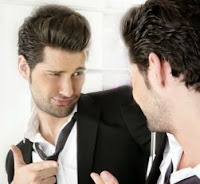 Both self-confessed and unidentified narcissists are all around us and we’re likely to face them at almost every location and in different situations on this planet. A narcissist person isn’t a subject to run away from or hate but actually the person needs great amount of help, care and sympathy from other people to overcome narcissism. Like every other person, a narcissist also makes for living and struggles for survival. But what’s so wrong with that kind of person after all? Everybody has core sense of being in existence and defensiveness which is very crucial for physical survival for every living and flourishing creature and not just so called “most intelligent creatures on earth” - human beings. Could you believe that everybody, including you and me, possess certain level of narcissism or self-love? When put on a scale of narcissism, every person would find itself at different point on it. If you really want to know then you can undergo a test by following this link and giving honest answers only. Only thing is that few of us are highly self-loving persons and this very obsession make them as clinically narcissist personality. Principally what every highly narcissist person does most of time is attracting attention of others towards oneself and at some extent - exploit others for getting attention paid at. They have a definite plan, strategy or mission to get identified in a crowd. They may look very charming, intelligent and tidy by their appearance. At some extent, narcissist men or women standout in being a magnet for members of an apposite gender - especially those with low self-esteem. Unlike open-ended and “away from once body” gestures, they gesticulate in such way that their palms face their own bodies most of time. They try to accentuate their presence and make maneuvers that saliently convey to others, “Hey, I’m here! Aren’t you looking at me?”. They would invade your space suddenly and remind that you didn’t greet them as per their own expectations. They would raise they voice to make their presence felt without any hesitation about their contributing to noise pollution. They would put on glossy or gleaming cloths and carry costly accessories so that people should praise them. 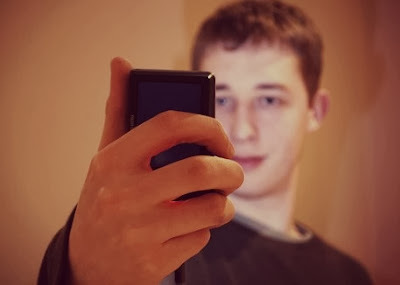 Some of behavioral symptoms of a highly narcissist men or women, like trying to attract attention of others in crowd or raising oneself above others, can be observed in a person who is courting or wooing partners. Only difference is that courting or flirting person pays equal attention at potential partner, remains submissive yet appealing, tries to coordinate with movements and expressions of deserving partner (i. e. “mirroring”) and appears to inviting or accepting. Narcissist person tries to overrate oneself and creates a scene of having a great level of self-esteem which narcissist lacks at first place. Another remarkable characteristic of a highly narcissist person is that he/she tries to take credit of what has been achieved by others in an obvious manner. They would come forth to shake their hands with you and say, “It was only me to encourage you from the beginning.” or “It has happened because of my company.” or “It happened because I greeted you in the beginning”. They wouldn’t make statements like “Didn’t I tell you that you could make it?” or “You has those qualities and potential.”. They would keep reminding you about what ‘favors’ they had done(?). 1) Person has an extravagant sense of self-importance. Person tries to exaggerate achievements and talents with expectations of being recognized as superior without any achievements. 2) Person is preoccupied with fantasies and dreams of unlimited success, power, brilliance, beauty or ideal love and always tries to pursue them. 3) Person believes that he or she is “special” and unique and can only be understood by or should associate with other special people or institutions. 4) Person requires excessive admiration and appreciation. In fact, he/she seeks every opportunity of getting admired. 5) Person has a very strong sense of entitlement i. e. unreasonable expectations of special treatment or compliance with his or her expectations. 6) Person exploits others to achieve or fulfill his own goals and purposes. Such person often roams only with those appreciate him or her and follow instructions. 7) Person lacks empathy and appears unwilling to recognize feelings and needs of others. Such person creates a group of underachievers and stands in its center. 8) Person is often envious or jealous of others and believes that others are envious of him or her on contrary. 9) Person regularly shows arrogant, haughty behaviors or attitudes. He denies or ignores existence of those person who reminds him or her about own shortcomings. 10) Person looks very charming and witty but always tries to make fun of others. Such person greets others in a way that he or she’s doing favor on them. There are number of reasons that turn a tender, loving and easy going child turns into a highly (or “clinically”) narcissist person in future. Narcissist persons aren’t like psychopaths who have cruel intentions in their minds but actually they are victims of biological, genetic, psychological and environmental factors that shape their personalities in an egocentric manner - exactly like the prince (or princess) who falls in love with his (or her) own reflection in water. This is very badly written. You might try getting an editor or someone who can write well to look at your work.